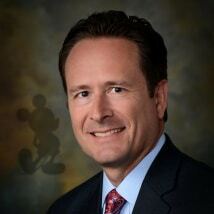 Brice Schroedel has been a Cast Member at the WALT DISNEY WORLD Resort since 1990 and is currently a Senior Operations Manager in the resort’s Distribution Services organization. Throughout his career, Brice has held various positions in operations, logistics, distribution, and project management. He holds a BBA from Stetson University and an MBA from Rollins College Crummer Graduate School of Business. He is currently a board member on the Crummer Graduate School of Business Alumni Board and is a Leadership Team member of a WALT DISNEY WORLD Resort Diversity and Inclusion Resource Group. Brice believes strongly that a commitment to adult literacy is the foundation for a strong and literate family. He celebrates the diversity of each individual’s unique journey and is committed to lifelong learning and the mission of the Adult Literacy League.